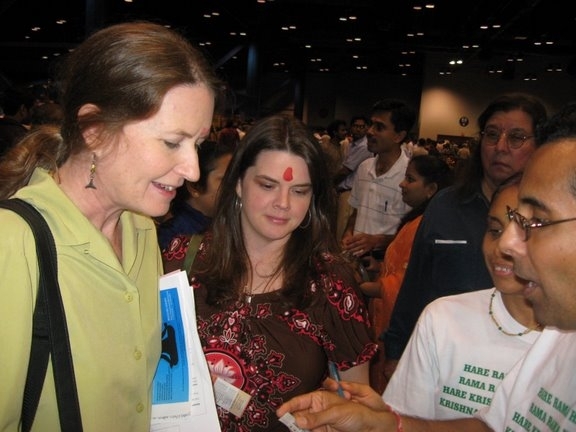 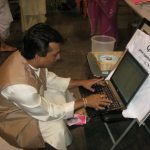 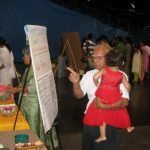 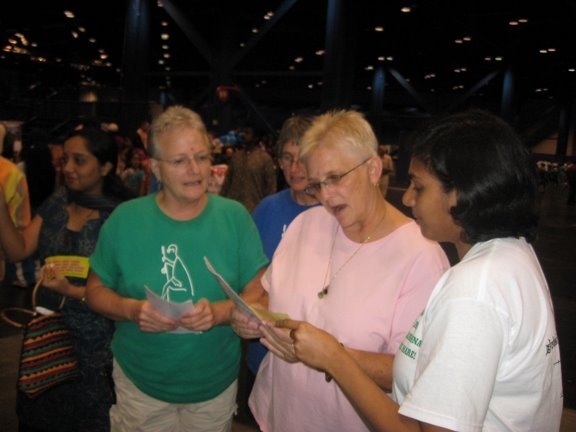 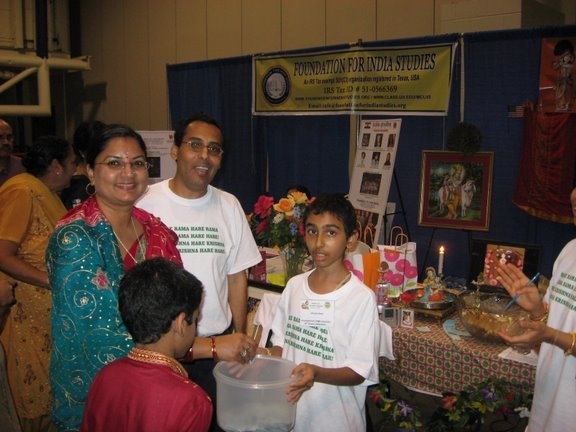 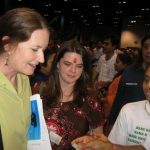 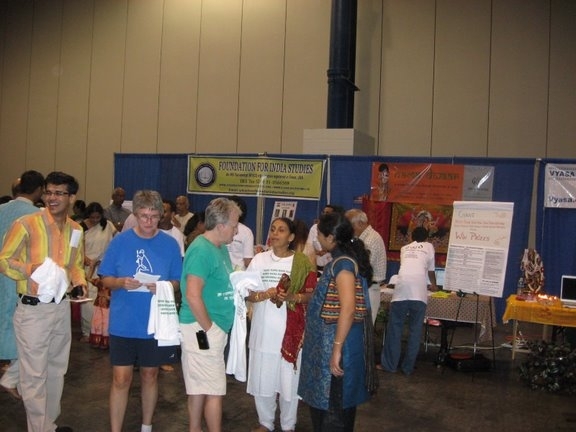 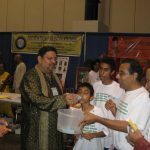 About 4000 people attended the Janmashtami fair at George R Brown Convention Center in Downtown Houston on August 30th. 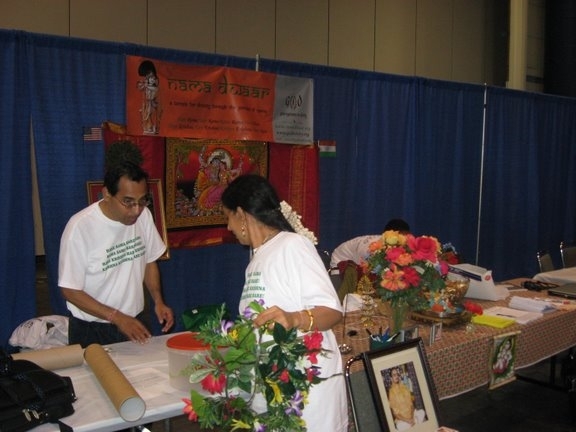 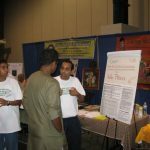 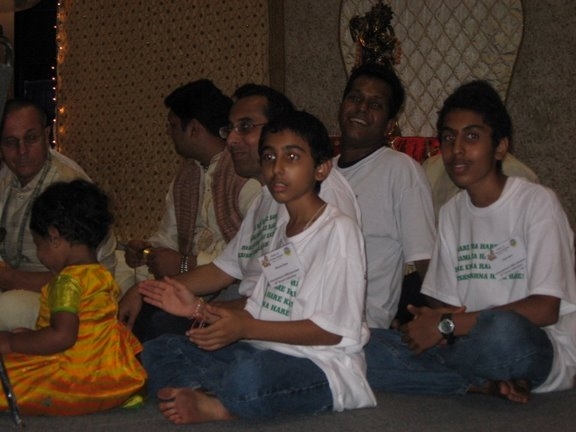 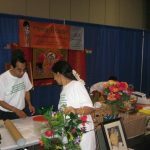 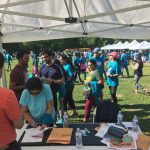 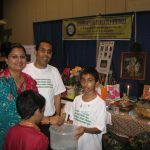 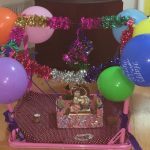 A yearly event in Houston organized by the ‘Hindus of Greater Houston’ around the Janmashtami time, it is one of the few platforms which bring together the Indo-American community from far and wide. 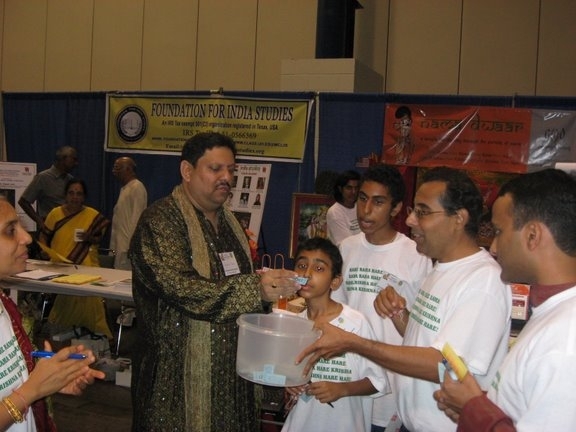 Hindu organizations around town come together to display their brotherhood in spreading Sanathana Dharma. 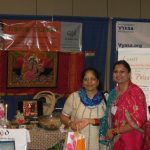 In addition to the booths, other events like fancy dress competition, Sankirtan, classical dance, skits, discourses, and Raas Garba are held as a part of this wonderful fair that lasts an evening. 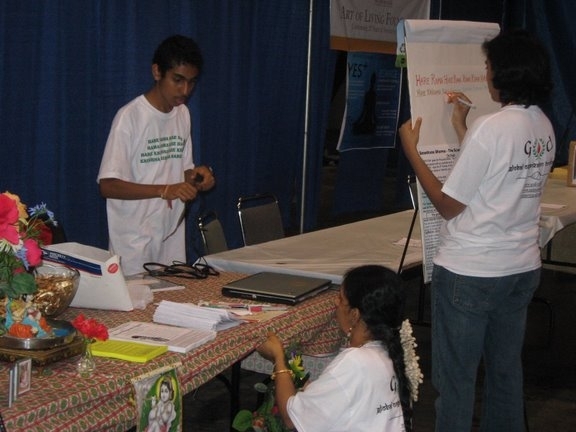 For the first time, our organization was represented in the fair. 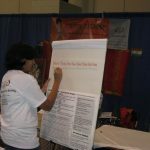 A booth was set up to let people know the goals and objectives of our organization. 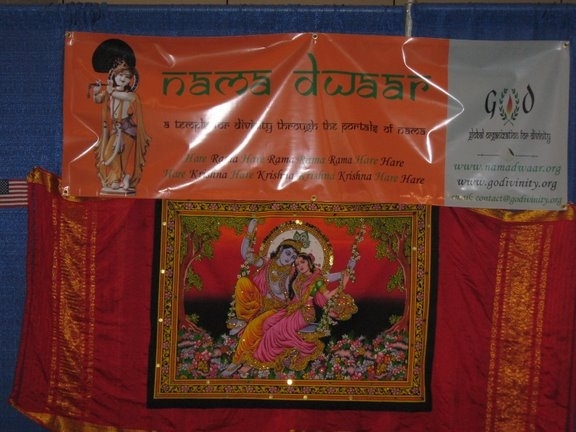 It was also a forum to announce to the world that ‘Nama Dwaar’ – ‘a temple for Divinity through the Divine Portals of Nama’ is soon coming to Houston. 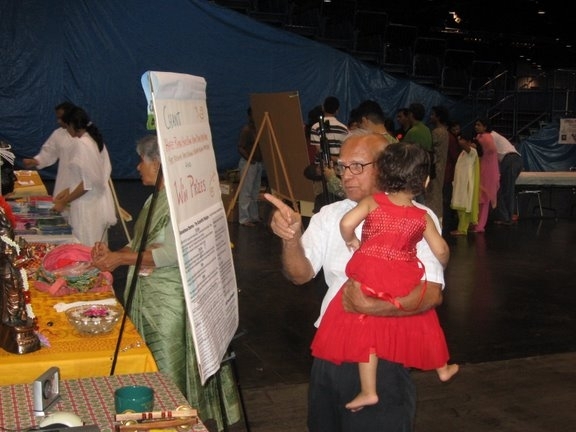 ‘Hare Rama…’ Mahamantra, being the lifeline of our mission, took not only a prominent place in our booth, but also on everyone’s lips and ears! 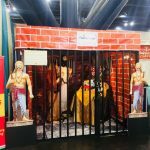 The fair started off with the ‘Hare Rama’ Mahamantra in the sweet and divine voice of our Sri Sri Swamiji echoing loudly in the PA system of one of the largest convention centers in the state. 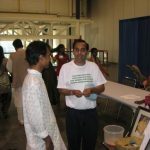 The first 10 minutes of the event’s main procession started with Nama led by Sri Sri Swamiji, and followed by around 15 people including GOD representatives. 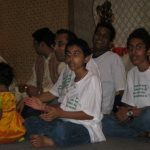 The Mahamantra Kirtan by Sri Sri Swamiji reaching the ears of the thousands of people who had gathered, was a grand highlight of the event. 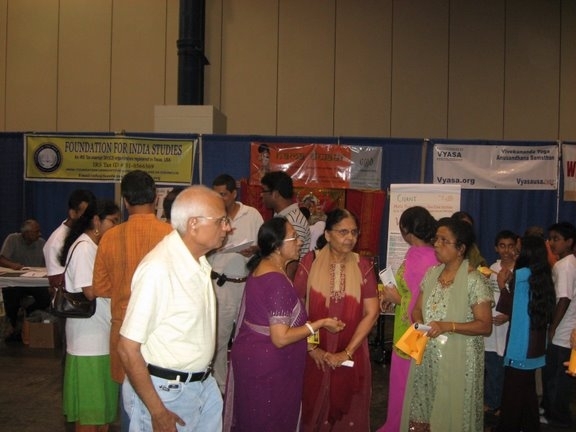 Throughout the evening (from 6 to 10 PM) the ‘GOD’ booth had visitors flocking nonstop. 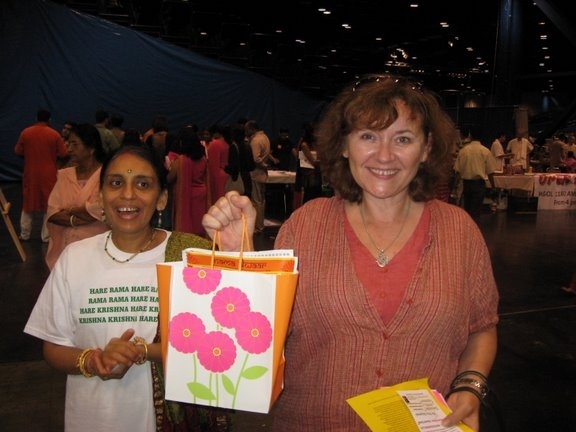 The with the intention of reaching the Divine Name to one and all, prizes were given away based on a lucky draw. 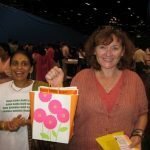 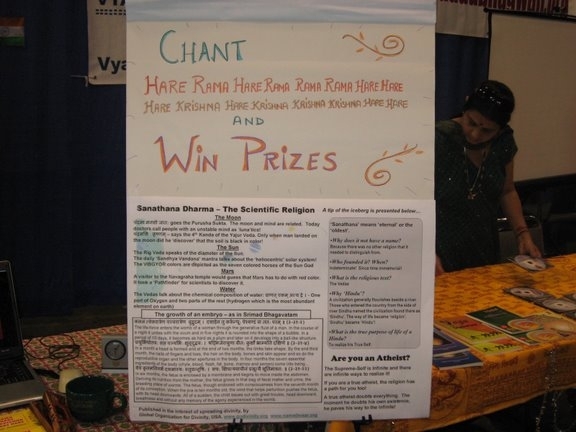 When people chanted the Mahamantra once, they were entered into a raffle. 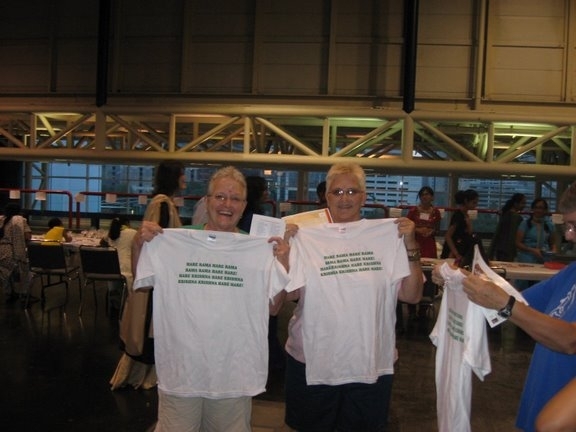 Every 30 minutes, a lucky draw was made and winners were chosen. 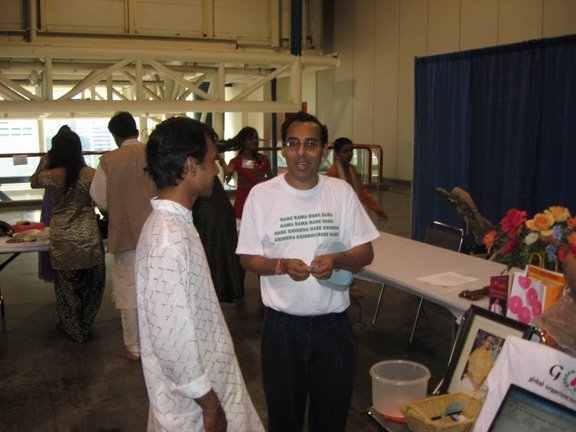 Shri Pravin Vyas, President of Vishwa Hindu Parishad, Houston Chapter, Shri Padmkant Khambati, President of Sanatan Hindu Center & Voice of Sanatan Hinduism Radio Program, Shri Girish Nayak, President of Hindus of Greater Houston, Smt. 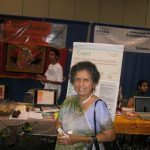 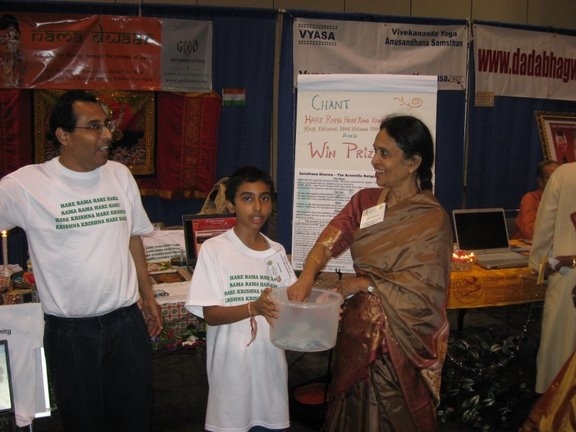 Kokila Patel, Dedicated supporter of Ekal Vidyalaya, Smt. 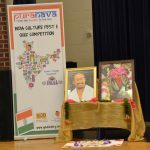 Thara Narasiman, Joint Secretary of Hindus of Greater Houston and President of Samskriti Houston and Radharani Dixit, Secretary of Hindus of Greater Houston kindly consented to pick the names of the winners during the different lucky draws. 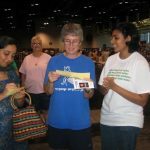 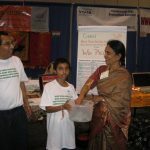 Each winner got an assortment of T-Shirts, Mahamantra CD, Sant Thukkaram Discourse CD, GOD mission DVD, books written by Sri Swamiji, and the newly published GOD USA Newsletter. 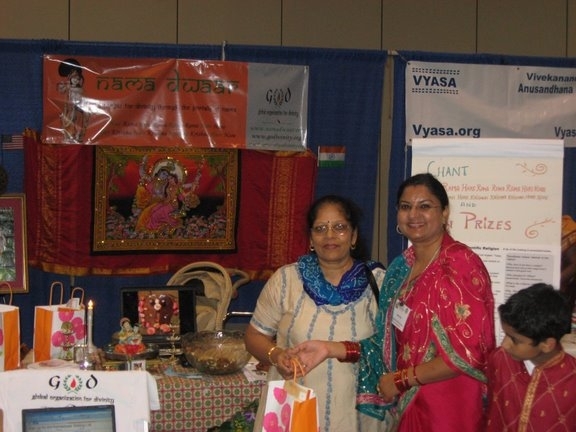 Nama was constantly being chanted at the booth, as many people who stopped by were very enthusiastic! 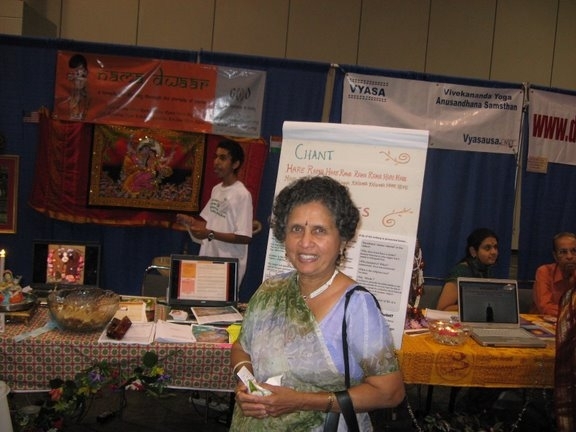 A flyer announcing Poornimaji’s Bhagavatha Saptaha during Thanksgiving Weekend (Nov 22-28) was distributed to all. 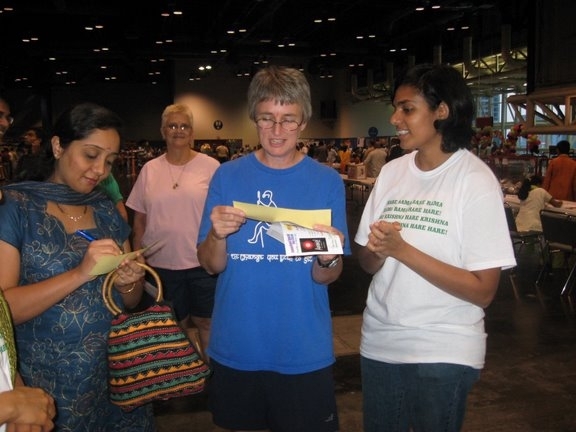 Other flyers (GOD-About Us, Practical Spirituality) were also distributed to hundreds of visitors. 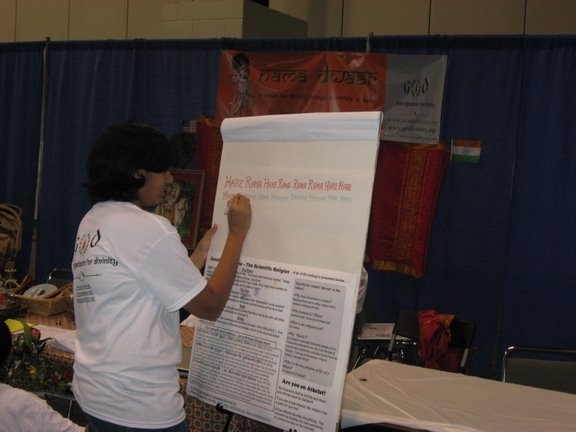 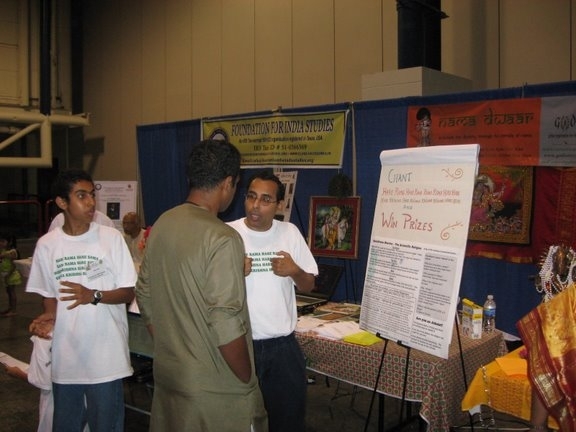 A poster put up, explaining how Santhana Dharma was a scientific religion by highlighting the truths that the Vedas speak of, caught the attention of many visitors. 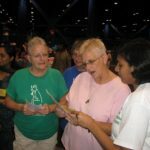 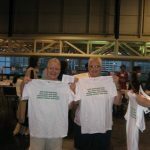 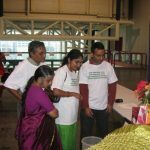 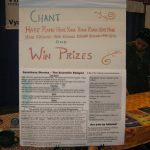 Over the 240 minute stint, about 400 people, including several people from many different ethnic backgrounds stopped at the Nama Dwaar booth, chanted the Mahamantra and took part in the raffle.A few signed up for our mailing list. 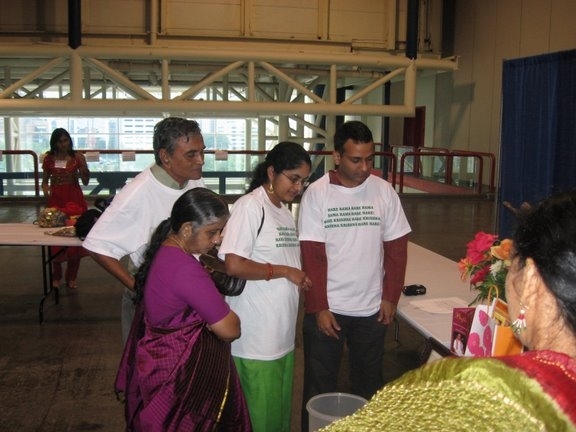 Many visitors were excited about the temple for the Divine Name. 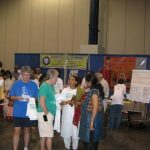 The volunteers that manned the booth enthusiastically engaged the visitors and clarified their doubts about our organization and our mission. 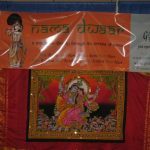 As a grand finale, our organization members joined others to sing and dance to the Mahamantra in front of the whole gathering on the big stage. 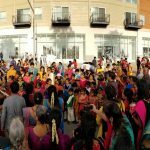 It was a wonderful evening for Nama Dwaar as hundreds of new people chanted Nama.